If you’re not a member, please join A-DOG today! : Join A-DOG online or by mail, by clicking the link above. Annual memberships run from April 1 through March 31 of each calendar year. However, if you join in the second half of the year (after Oct 1), don’t worry…your membership will be extended through the following calendar year (currently, 3/31/2013)! With your new or renewal Full Membership, you will receive a gorgeous full color A-DOG bumper sticker! (It looks like the logo banner at the top of our website.) Thank-you to all our supporters! Read why our members support A-DOG here. Show your A-DOG colors with high quality car magnets! Purchase your magnets using the link on the Home page, at Firefly Moon or Batiz (Mass Ave, Arlington Heights). Multi-pack savings are only available through our website at this time. Higher fines for off-leash violations: Town meeting voted last spring to increase fines for off leash violations and the Attorney General approved the bylaw change. Depending on the number of infractions, they are now $75 to $200. These are much higher than similar fines in many other MA communities (each one we’ve found was $50 or less). While we certainly encourage our members to comply with the new off-leash hours and to never let an out-of-control or aggressive dog off-leash, we also believe that these fines are excessive. Please sign A-DOG member Wes Beal’s petition to tell our elected officials that we would appreciate their support for more reasonable fines. Article 36 (2010) Implementation for Morning Off-Leash Hours: the program continues. In spring, 2010, Arlington Town Meeting passed a substitute motion sponsored by A-DOG Town Meeting Members. This bylaw change, now in effect for over a year, allows dogs off leash, under owner control, in parks under Parks and Recreation Commission authority. Certain areas are excluded, including parks right next to school buildings, near playground equipment, and any other site by exclusion of the Parks and Recreation Commission. See further details here. As we told our members when the program began: “A great step for responsible dog owners in Arlington! Please continue to exercise and to encourage responsible practices, including honoring the legal morning hours.” According to the available records, there have been few substantial complaints about the program and, after a successful public meeting last fall, the Park and Recreation Commission have supported its continuation. Originally, the Town Meeting Warrant Article establishing the off-leash recreation program was supported by Arlington’s Park and Recreation Commission, but not supported by a majority (4 out of 5) of the Board of Selectmen, as shown in this video of the Selectmen’s hearing . A-DOG continues to advocate for the continuation, and potential expansion, of this program (evening hours would require another Town Meeting vote) and urges you to stay in touch with your elected officials to continue to build Town support for responsible off-leash recreation. Shop A-DOG! At our A-DOG CafePress shop, you can order fun items such as bumper stickers, magnets and pet bowls imprinted with our logo! Please wear our products to show your support! Keep checking for new items and send us your suggestions. And, please patronize Friends of A-DOG businesses. A-DOG Wine Party at Menotomy Beer and Wine! See photos here. A-DOG Marched in the 2011 Arlington Patriot’s Day Parade! More information and photos are shown here. We plan to participate next year so join us! Arlington Speaks out for Off Leash Recreation! Arlington residents’ Letters to the Editor in support of responsible off-leash recreation, including the Article 36 Substitute Motion. Letters here. Information on the Article 36 Substitute Motion here. Newton Off Leash Park Abutters Fail in Attempt to Challenge its Legitimacy. A group of abutters to an off-leash recreational area in Newton claimed that the city had used federal funding inappropriately. Their attorney said: â€œIt is my client’s position that conversion of Park use for the private and commercial exercise of domestic animals is not a public outdoor recreation use and requires the approval of the US Secretary of the Interior”. 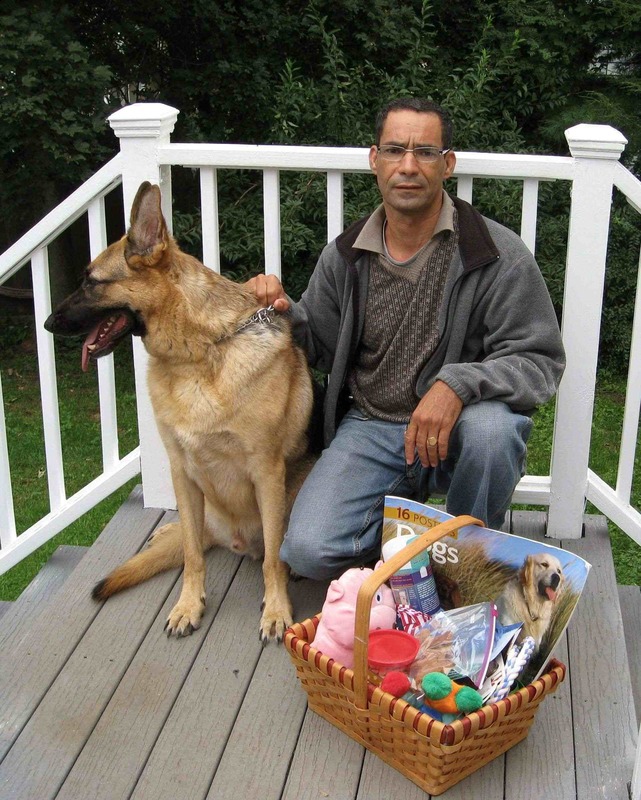 Read the article by Michele Biscoe of the Somerville Dog Owners Group. Listen to the Radio Boston program “Is Boston Going to the Dogs?” aired on WBUR. If you like what you hear, send a contribution to WBUR and remind them of how much you appreciate such balanced and in-depth reporting. For the local perspective, read The Buzz Around Town, public comments on off-leash dogs. And, please add your own words in the “Comments” section. MassDOG, a coalition of Dog Owner Groups (DOGs) in the Commonwealth of Massachusetts. A-DOG is proud to be involved in the formation of a new coalition of groups like ours from across the state. By joining forces, we will be able to help one another to promote the interests of responsible dog owners in our own communities, and will work to help encourage more dog-friendly policies and facilities in our state parks. See the new MassDOG website, and sign up to receive the MassDOG Woof newsletter! And, join the MassDOG group on Facebook! And, please sign your full name, with a separate entry for each person. (If you prefer, you will be able to hide your name from public viewing on the website by choosing “anonymous”. ) Thanks! Our Annual Meeting was held on Tuesday, September 30 at the Community Safety Building (the Arlington Police Department headquarters) on Mystic Street, Arlington. Click here to read the Annual Report. It will also be available as a pdf file for download. 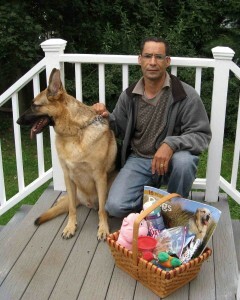 The winner of our nice gift basket, filled with dog toys, treats and other goodies, is Kouider Belguendouz, 47 Lockeland St. He’s shown here with his beautiful German shepherd, who attended our booth with Kouider and was, shall we say, quite impressed with the life-sized stuffed toy black lab, “Tulip”, who was out front to welcome visitors. Congratulations Kouider!! And, thanks to everybody who visited our booth at Town Day to join A-DOG, buy A-DOG T shirts, sign our petition, or enter our raffle. You all helped to make our first annual Town Day booth a big success! LOST ARLINGTON DOG IS NOW HOME SAFE! We posted a notice recently for new Arlington residents Marian Godfrey and Tom Gardner, whose dog Hewitt was lost after a collision with a cyclist on the bike trail. Tom let us know today (9/8) that he was found, and he’s safe! 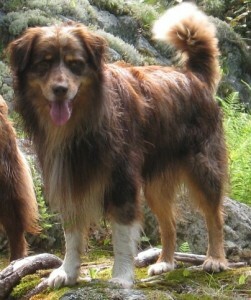 He was seen by somebody in Winchester who had heard about him and notified animal control authorities immediately. Tom wanted to express his and Marian’s gratitude to the network of people who supported them and who helped to spread the word about Hewitt. Here is his quote “I am so grateful to everyone who helped to put the word out. I am so impressed by the network and about how helpful and concerned everyone has been. away from the water….” See the town website (Aug 13 notice) for the rest of this notice. A-DOG obtained permission to reprint this article in order to inform our members about the movement in our state to ban the pet “rental” practices of companies such as FlexPetz. FlexPetz had planned to open for business in the Boston area. Now, with the session’s close on Thursday, The HSUS urges the Senate Ethics and Rules committee to pass it swiftly and send it on for a Senate floor vote. A similar ordinance was recently passed by the Boston City Council effectively prohibiting the renting of pets in the city. The ordinance was passed unanimously by City Councilors. The move was prompted by news that Flex Petz, the most well-known pet rental company, was planning to expand to Boston. The pet rental ban bill, H. 5006, was introduced by Rep. Paul K. Frost, (R-Auburn). “I just fear a business like this fosters a concept of disposable pets,” said Rep. Frost. Pets form attachments to their families. Dogs instinctively learn to protect their packs. Frequent and abrupt changes in location, routine, discipline and attention are confusing and are likely to lead to stress-induced behavior problems. Pets are not like cars or furniture. Moving them from person to person, home to home, can induce problems such as anxiety and depression. The HSUS urges pet lovers unable to make a life-long commitment to a pet to seek better and equally fulfilling options. Animal shelters and rescue organizations across the country seek caring volunteers to spend quality time with the animals available for adoption for play-time, walking and other forms of socialization. People can also provide foster care, in their home, for a pet who needs extra attention while he or she awaits a permanent adoptive family. The Humane Society of the United States is the nation’s largest animal protection organization â€” backed by 10.5 million Americans, or one of every 30. For more than a half-century, The HSUS has been fighting for the protection of all animals through advocacy, education, and hands-on programs. Celebrating animals and confronting cruelty â€” On the web at humanesociety.org. From An A-DOG Member Working to Ban Greyhound Racing: Would You Treat Your Dog This Way? by Christine A, Dorchak, Esq. Starz Voice was a two-year old white and red fawn greyhound who spent her short life racing for profit. Before her untimely death, she lived at a commercial racetrack and endured a life of nearly endless confinement. Along with hundreds of other dogs, she was kept in a small cage barely large enough for her to stand up or turn around for 20 or more hours per day. On a clear, June day last year Starz Voice competed in her final race. After colliding with other dogs in the first turn, she broke multiple bones in her right front leg and was euthanized. Sadly, her story is not unique. Since 2002, more than 800 greyhounds have been injured while racing in Massachusetts, including dogs that suffered broken legs, paralysis, and death from cardiac arrest. The good news is that this cruelty may soon end. This November, voters will have a chance to Vote Yes on the Greyhound Protection Act, a citizens initiative to phase out commercial dog racing by 2010. This important humane proposal is supported by the oldest and most respected animal protection groups in the state, including the MSPCA, the Humane Society of the United States and greyhound protection group GREY2K USA. If you would like to volunteer for this important effort, please contact me at christine@protectdogs.org or call 617-666-3526. Also, to learn more about the Greyhound Protection Act and view a slide show of photographs from Wonderland Greyhound Park, go to www.protectdogs.org. Together we can win for the dogs! 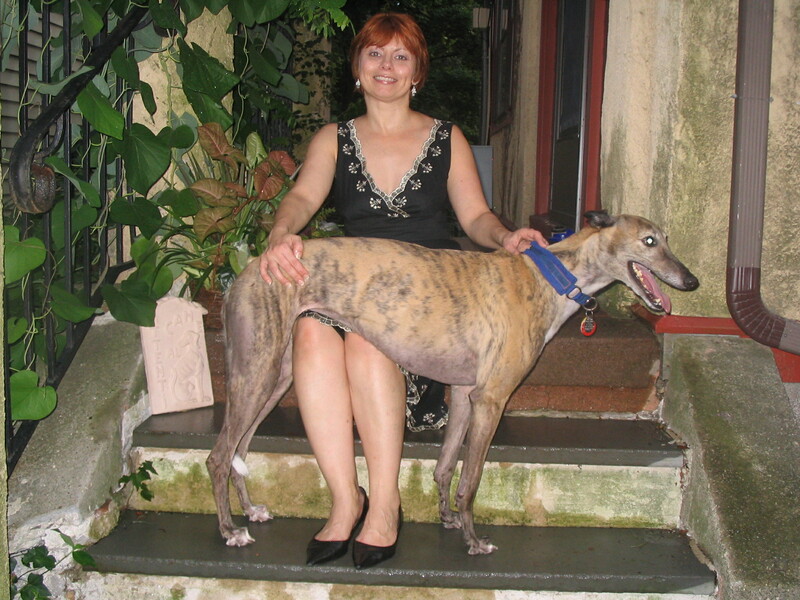 Christine lives on Lake View Street with her husband Carey and their beloved greyhound Zoe. To change the 6 ft leash length limit for restraining a dog, enabling use of a leash with length not to exceed twenty (20) ft. The current leash bylaw in Arlington was established in the 1960’s. Based on the transcripts from its debate in Town Meeting, as well as on the wording (for example, its provisions for the Animal Control Officer to hold a dog for 10 days until the owner claims him), it was intended to address dogs roaming free without owner supervision, or “at large”. Few, if any, dogs roam “at large” in our town nowadays because dog owning practices have changed. The modern dog owner treats his dog more as a family member, and typically would not consider letting him roam unprotected. As the Arlington bylaw is currently enforced, it prevents dog owners from exercising and socializing their dogs off-leash, even if such activities occur under owner supervision and at times when few others are using the parks. A Green Dog Pilot Program is being developed, with community input, to provide off leash hours, as well as dedicated fenced dog parks, town-wide. While the original goal was to submit this program to Town Meeting this year, this submission has now been delayed, with a new goal of Town Meeting, 2009. While dog parks have been allowed in the bylaws since 2003, there are none yet available. Previous attempts to establish dog parks in Arlington (for example, a dog park proposed at Hill’s Hill in 2005) have been unsuccessful. The purpose of this Substitute Motion is to make an incremental change to the current leash law enabling responsible dog owners to have some limited opportunity to legally exercise and socialize their dogs, while minimizing impact to the community. We recognize that the proposed schedule will not benefit all dog owners. It is expected that, should a more comprehensive Green Dog plan be adopted by Town Meeting in future years, its provisions would more broadly serve the community. However, until that time comes, this Substitute Motion will provide some relief to the current situation. Some believe that no action, even an incremental one, should be taken on this issue until the Green Dog committee has completed its work. We respectfully disagree with this position. One year is quite a long time in the developmental life of a dog. Another year of inadequate opportunities for training and socialization can have only a negative impact on individual dogs. This delay also has a negative impact on Arlington dog owners, who are being asked to wait yet one more year before being allowed to legally conduct what is, for many, a favorite recreational activity. The need for legal off-leash recreational opportunities has been recognized by the town and officially discussed for at least 5 years, with no resolution. We believe that a substantive change is long overdue. Respectfully, we ask whether, for example, dedicated softball enthusiasts would tolerate having to suspend their games for an entire season, let alone several years, while details of, for example, a field reconstruction, were being worked out. They would not, nor should they be expected to do so. At the very least, they would likely seek some interim arrangement until the final, presumably perfectly renovated, site was ready. In this case, the Green Dog plan is being touted as representing the best overall solution to the dog/dogowner issue for Arlington. This may very well turn out to be true. But that doesn’t mean that a simpler, less perfect measure would not be of significant value in the interim. In the Substitute Motion, the limited early morning and evening hours were selected so as to minimize off-leash activity when the parks are more heavily used, for example, by children. The requirement that the owner be present and attentive to the dog means that the law will not allow dogs running “at large” in the parks. The additional requirement that the owner have the dog under “effective control” prevents this law from applying to an untrained or out-of-control dog, even when owner-accompanied. The Substitute Motion also seeks to amend the current specification of a 6 ft leash. The 6 ft limit prevents owners from using flexible, retractable leads or from teaching their dogs off-leash “recall” using modern obedience training methods, including those advising a training lead of 20 to 30 feet (Miller, Pat, 2001, The Power of Positive Dog Training). The Substitute Motion is intended to relieve this restriction. The proposed 20 feet is the same leash length that is specified by the American Kennel Club (AKC) in its “Canine Good Citizen” certification test (www.akc.org, CGC program). The proposed changes apply to Town-owned parks and conservation lands only. Dogs would not be allowed off leash on other public property, such as streets and sidewalks or on private property without the property owner’s permission. In addition, bylaws against excessive noise and failure to clean up after ones dog would, of course, remain in force at all times. In comparison, several local communities (Acton, Bedford, Burlington, Concord, Lexington, Lincoln, Sudbury, Wellesley, and Weston) have bylaws allowing dogs to be unleashed, under owner supervision and control, in public parks without restriction as to hours. Such bylaws refer to “effective command” or its equivalent as a requirement. Others (e.g. Cambridge, Boston, and Somerville) allow dogs to be unleashed in selected location(s), including dedicated dog parks (Boston, Somerville). Brookline has a “Green Dog” system whereby dogs are allowed off leash at certain hours in certain parks and has no dedicated dog parks.